If you enjoy building Raspberry Pi projects but some times find the original Raspberry Pi mini PC a little to large for your needs and the Raspberry Pi Compute Module not suitable, you might be interested in a new credit card sized PC in the form of the Hardkernel ODROID-W. 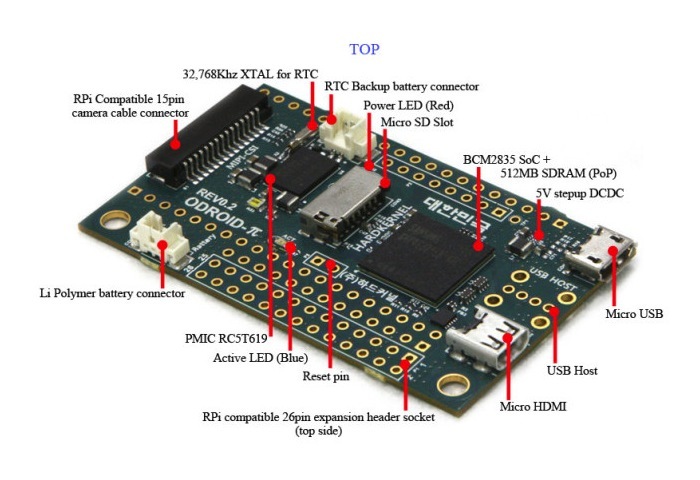 The Hardkernel ODROID-W is equipped with the same Broadcom BCM2835 SoC found in the Raspberry Pi and includes HDMI, USB, and CSI interface, and expansion headers. Making it fully compatible with any projects you might already have built using a Raspberry Pi. Specifications for the tiny Hardkernel ODROID-W mini PC include a Broadcom BCM2835 ARM1176JZ-F 700 Mhz processor with VideoCore IV GPU supported by 512MB LPDDR2. With storage supplied using a microSD slot + eMMC socket positioned on the bottom of the board. Hardkernel apparently created the new mini PC after requests from customers looking to create wearable devices, where the Raspberry Pi was just too big and the Hardkernel ODROID-U3 consumed too much energy. 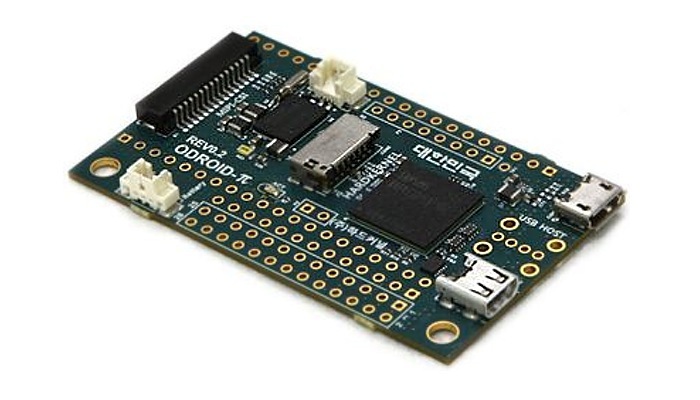 If you are looking to connect the Hardkernel ODROID-W to a network you will require a hub or the W Docking Board for the mini PC which adds 4 x USB ports, 10/100M Ethernet, a 3.5mm stereo audio and is available for $20. Check out the videos below to learn more about the new mini PC and its features. The Hardkernel ODROID-W mini PC can be pre-ordered for $30 and shipping will commence on August 26th 2014.